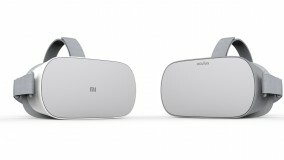 Oculus and Xiaomi have partnered up to bring portable VR experience to China. The Mi VR Standalone will be a version of the Oculus Go that is exclusive to China while the Oculus headset will be available in the rest of the world (at $200). Both headsets are functionally identical – based on the Snapdragon 821 Mobile VR Platform, they work without a phone or a PC (or cables). Visuals are provided by two 2K LCD screens with new-generation lenses. The Xiaomi Mi VR Standalone comes with a motion controller (with a touchpad and a trigger). It has built-in spatial audio (developed by Oculus) as well as a 3.5mm audio jack. This headset supports both the Oculus Mobile SDK and the Mi VR SDK, so you can play new games as well as favorites for the Mi VR Play platform. Xiaomi is working with game developers to help them translate games and bring them to the Mi VR Store in China. Xiaomi did not announce a price for this new headset, but we have a feeling it will be under the $200 price tag of the Oculus unit.